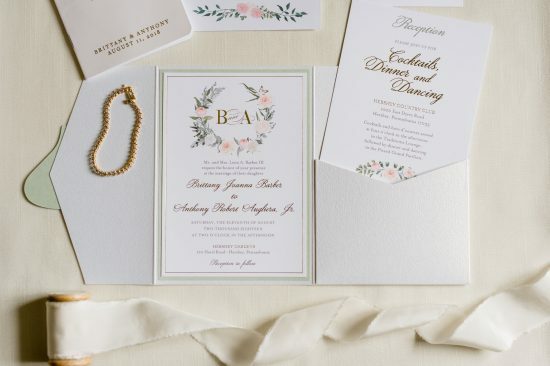 Anyone who is in the process of wedding planning can attest to the fact that brides today put so much time into the creation of a beautiful wedding stationery set. They pour their heart and soul into choosing the perfect suite that will match the theme, tone, colors, and individual personalities of their special day. Persnickety absolutely adores playing a role in this process. 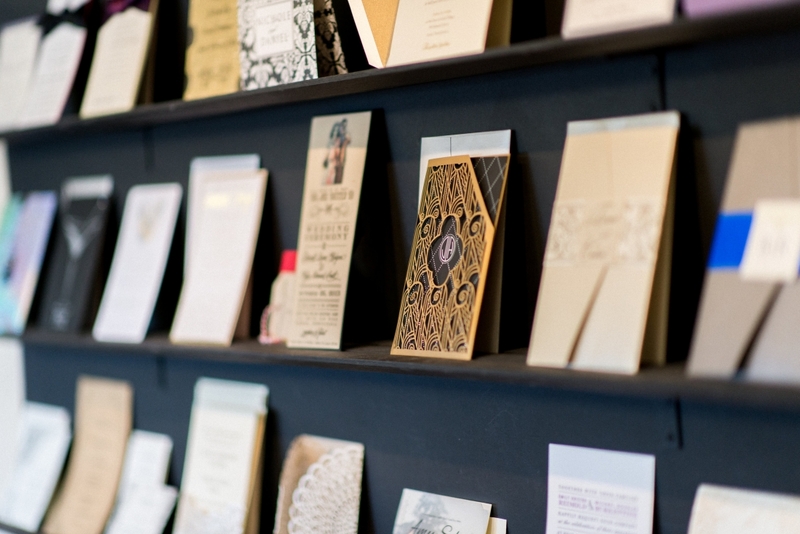 We want your invitations to arrive in the exact state in which they are meant. We love walking brides through every step of the invitation and accessories planning, all the way to their last trip to the post office. When brides arrive in our studio to pick up their beautiful, finished invitations, one of the first things we remind them is the golden rule of mailing wedding invitations. Get your wedding invitations hand-cancelled. Always. The next thing that usually happens when we utter the golden rule is the wide-eyed look by the bride; what is hand-cancelling? Why is it so important? Why do I need to do this? Well, here’s what and why hand-cancelling is vital when mailing wedding stationery. “Cancelling” is a ominous-sounding term from our friends at the post office that refers to the stamped markings in the right hand corner of the envelope that prevents any stamps from being re-used. Nowadays, this mark is typically created by running the piece of mail through an automated machine at very high speeds. It’s extremely efficient and assures that our mail gets to its destination quickly. A soft mint and pink color palette in Brittany and Anthony’s custom pocket invitation. Photo by Caroline Lima Photography. Why Do We Need Cancelling? Unfortunately, this process can sometimes mangle envelopes; it can tear them, bend them, smear the ink on certain textures of paper, beat them to a bloody pulp… (okay, maybe not that far). But there is a chance that your beautiful invitation will not look as you wish it to when it arrives to your guests if you let them to go through a machine. So, while the automated cancelling machine is fabulous for other pieces of mail, like bills (boo! ), it might not be so kind to your invitations (yay!). Hand-cancelling refers to a post office employee literally stamping this marking on your envelope by hand with a specialized stamp and an ink pad. This assures that they will not be put through the cancelling machine, but that they will still have all necessary markings for the post office to deliver them. Who Should Ask for Hand-Cancelling? It’s true that not every couple needs to be concerned with hand-cancelling. 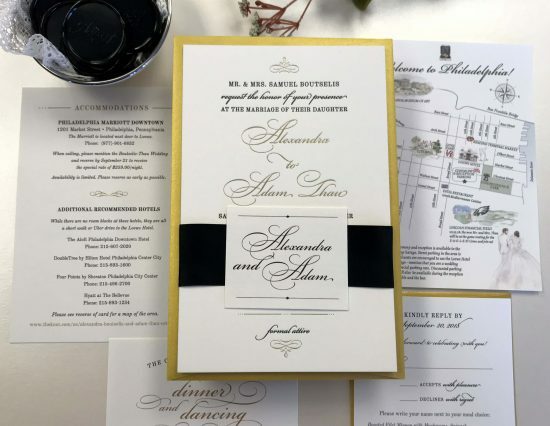 If you have a traditional, flat invitation with no ribbons or embellishments, no insert cards, or a seal ‘n’ send invitation, you might not need hand-cancelling. These pieces will likely go through the cancelling machine with no problems at all because they share similar characteristics of your typical piece of mail. However, we always recommend that you confirm this with the post office before mailing them. Always ask the post office if you will need hand-cancelling or not. How Do I Ask for Hand-Cancelling? Once you pick up your finished invitations and have the envelopes addressed, you’ll want to take a finished sample to the post office that would be ready to mail. You might even want to consider mailing a test invitation to yourself to see how the invitations fare. Ask the post office clerk to weigh the invitation to give you the correct postage amount needed, but also be sure to ask if hand-cancelling will be necessary for your particular invitation. Most (but maybe not all) post offices will do this service immediately, but if there are many customers, they might have to do this at a later time. Even if you requested that your invitations be hand-cancelled, it does not mean your invitations might not meet an automated machine somewhere along their travels. Mail passes into many different hands and ventures into many different facilities. You will want to discuss these specifics with your local post office and have them suggest the best way for your invitations to arrive safely. 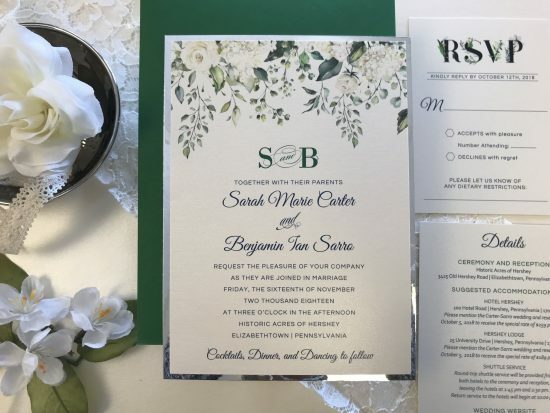 As much as we would love to watch your guests’ faces light up when they receive your invitation, Persnickety cannot follow every invitation once the baby birds leave our nest, though we absolutely would if we could! 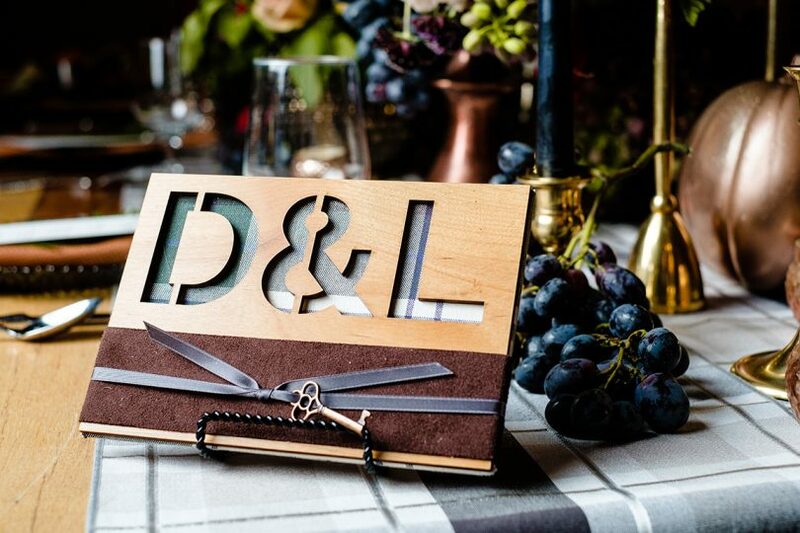 Ashli and Thomas’ gorgeous autumn inspired wedding invitation. Photo by Caroline Logan Photography. We hope this post helps explain some of the confusion surrounding the idea of hand-cancelling and makes you feel more confident when you’re ready to mail your invitations. Let Persnickety help you make the invitation process as smooth as possible, including having the happiest mailing of all your engaged friends! 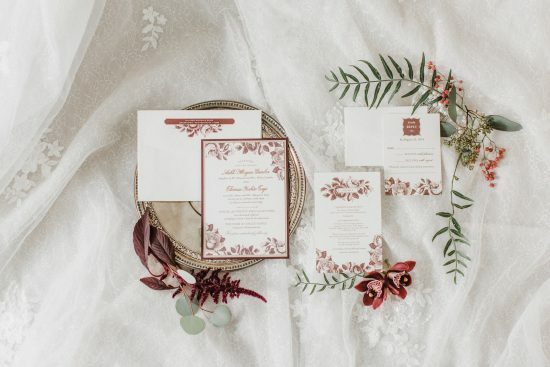 To schedule your appointment with an invitation specialist and make your invitation dreams a reality, schedule your appointment here!